Sulsaemit Shrine on the Verge of Being Lost? Recently I’ve been writing about Jeju Island’s threatened traditional shamanic shrines. I’ve just come from an alarming sight and though don’t have time for a proper post, I’d like to share the photos I took this morning of the development happening around the historic and cultural treasure site of Sulsaemit Shrine. Please read this post (ENGLISH/ KOREAN) to learn more about the Senjari Rangers group’s efforts to save and restore the shrine which is sacred to elderly residents who were driven out of the area during the upheaval of the late 1940s in Jeju, following the massacres of the 1948, April 3rd Uprising. First, the shrine was desecrated in 2013 in what seems religiously inspired vandalism. 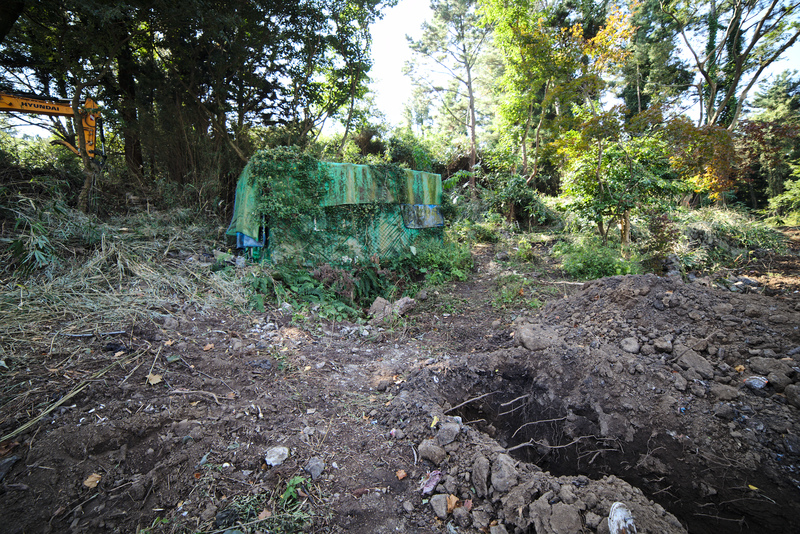 Now the whole area has been prepped for development and this morning a bulldozer was clearing brush just around the periphery of the shrine. It seems that there is not much time now. I will be updating as things unfold. Please check out our Facebook group for more information. The following are some photos taken at 10:30 Wednesday, October the 14th. 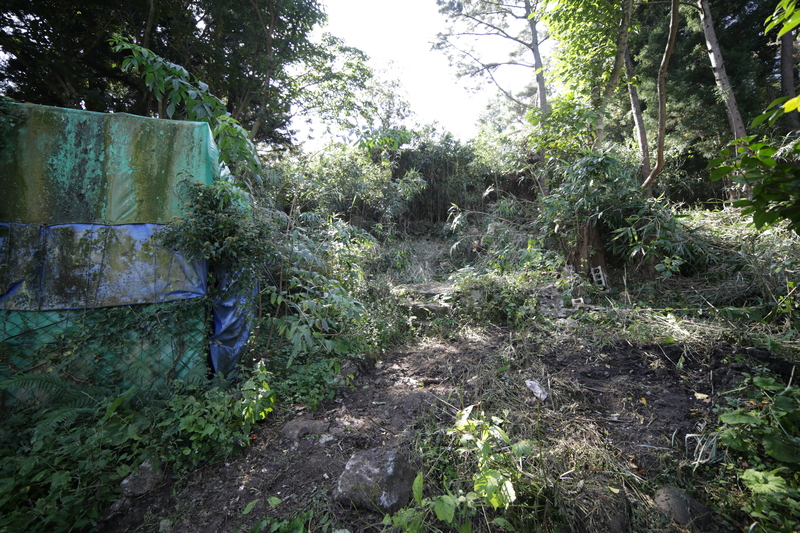 Workers have taken the shrine’s wall apart and have removed all the trees surrounding Sulsaemit’s various altars.